don't get caught: How can I get experts to be more responsive to reporters' interview requests? 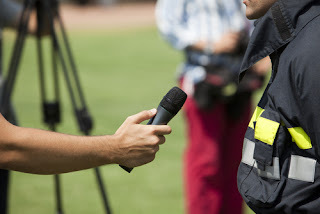 How can I get experts to be more responsive to reporters' interview requests? It's the single biggest barrier to coverage of your issue or topic: The subject-matter expert who won't respond at all to interview requests, or cuts them short, or stomps out of them. The top scientist who deletes messages that ask to set up an interview or who always seems to be traveling, wanting to respond three weeks too late. Or the policy leader who claims he has to re-read the Constitution in order to answer one question about a court case happening today. Experts blow off media interviews all the time. Figure out the difference between a delay tactic and a real need to hold off: If you haven't had a heart-to-heart about your expert's feelings about and attitude toward the news media, including any valid concerns or fears, you won't be able to tell the difference. Make sure she knows the media's methodology: Reporters' deadlines and the need for quick turnaround are part of your bread and butter, but not necessarily known to your expert. Have you emphasized that it's preferable to communicate "I can't do the interview this time" quickly, rather than ignore it altogether? Make sure you're not assuming too much about what your expert knows about responding to reporter requests. Find out whether someone else is discouraging her participation. In some corporate cultures, there's a general taboo against "showing off" by talking to reporters. Is your expert just going with the flow in not responding? This will be a big topic of discussion at the workshop. Registration is now closed, but you can sign up for the waiting list for the next session. Find out what other kinds of questions and challenges the participants want to discuss, and learn about the great network of communicators who are already participating.